Alaska, the happiest state; West Virginia, the saddest. 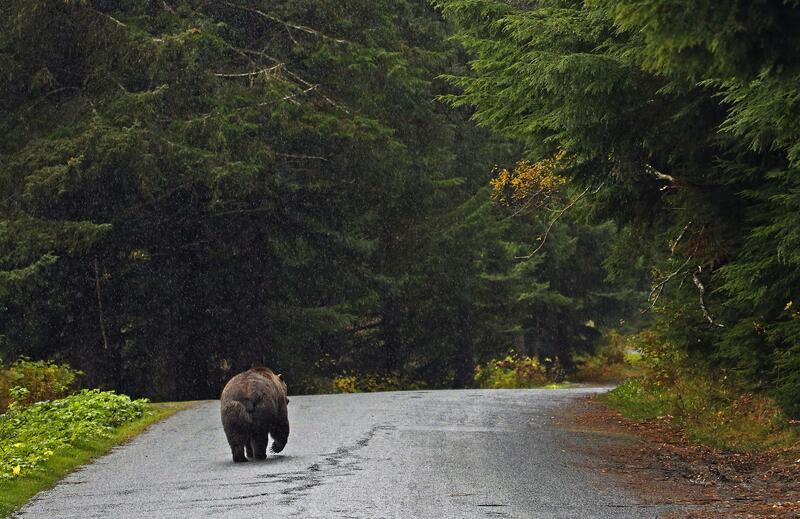 Everyone’s happy: A brown bear in Haines, Alaska, in October 2014. The polling outfit Gallup and a company called Healthways have released state-by-state results of a survey into what they call “well-being,” which, as defined, also might be described as self-reported happiness—and it turns out that the happiest and unhappiest states in the country have a lot in common. Using a “composite rank” of those factors, America’s best-scoring state on the well-being index is a mountainous area with few urban centers and an economy reliant on the extraction of fossil fuels—Alaska. And America’s worst-scoring state is a mountainous area with few urban centers and an economy reliant on the extraction of fossil fuels—West Virginia. Coal continues to face serious long-term obstacles, both in supply and end-user demand, particularly in the power-generation sector. Productivity at the nation’s coal mines has been falling for more than a decade and this trend is expected to continue as more easily-mined reserves are exhausted. On the demand side, natural gas prices fell to near-record lows in 2012, which caused a temporary shift away from coal as fuel for power generation. As natural gas prices have risen again, coal generation has recovered, but the long-term outlook for coal-fired generation remains uncertain given recent trends in natural gas production and proposed changes in the regulatory environment for coal-fired power plants. The next-happiest states in the survey, after Alaska: Hawaii, South Dakota, Montana, and Wyoming. The least happy, along with West Virginia and Kentucky: Indiana, Ohio, and Mississippi. All of the 10 states with the highest well-being are west of the Mississippi River. None of the 10 states with the lowest well-being is any further west than Missouri.